Looking for a super easy family mid-week meal? This is a great one! Mix all ingredients in a large mixing bowl. It’s best to use your hands and really squelch it all through. Roll into balls – these are about a heaped dessert spoons worth. It is pretty sticky. 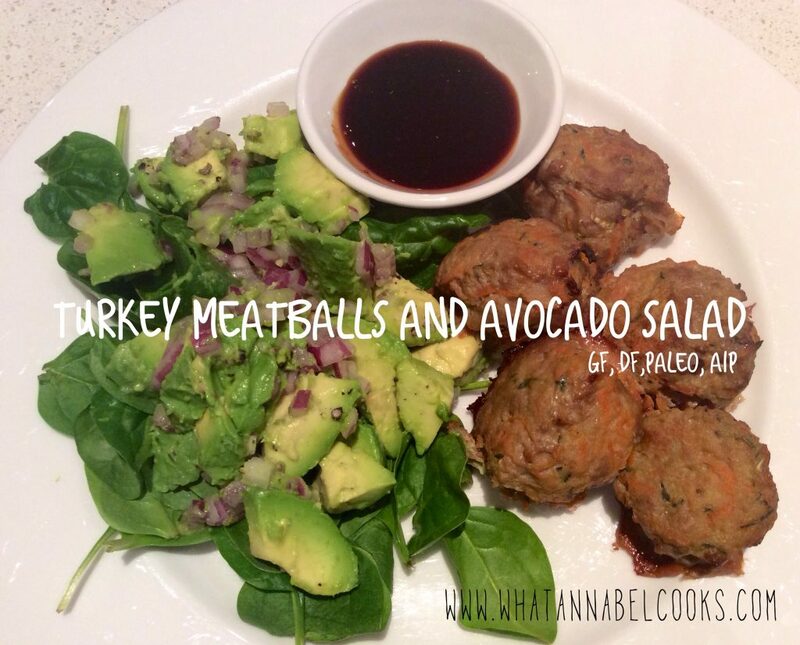 Place balls onto plate or into container you can store in the fridge. It’s best to refrigerate for an hour or 2 before cooking. Turn on oven to 180C/350F. Heat oil in large fry pan (one you can also put in oven). Carefully place meatballs in and sear/brown on each side well. You do need to be careful when turning the meat balls as they can come apart easily. Transfer pan to the oven for about 15 mins. Serve with salad and dipping sauce. Mix together in a small bowl (you can also heat in small saucepan for a minute or 2). In a bowl mix avocado, onion, lime juice, salt & pepper. On the plate put a handful of greens. Scoop avocado ‘salsa’ onto the greens. Yum.